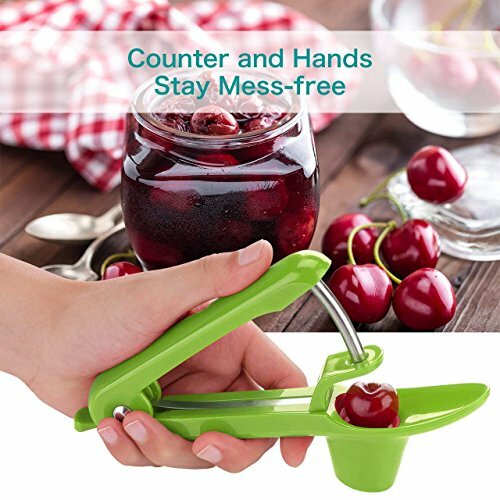 Non-slip handles absorb pressure, makes it comfortably, simply effectively and quickly to use. 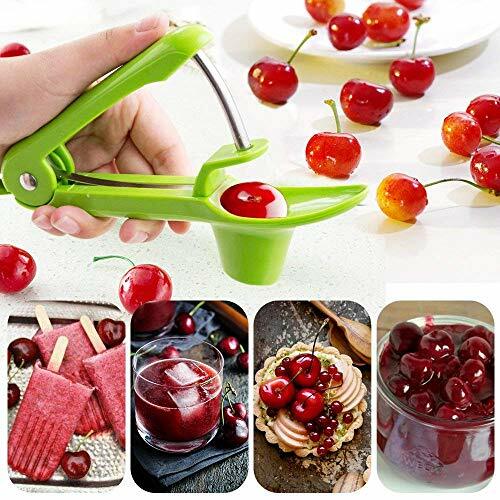 The pits come out cleanly leaving the cherry pretty intact, while no juice is lost. 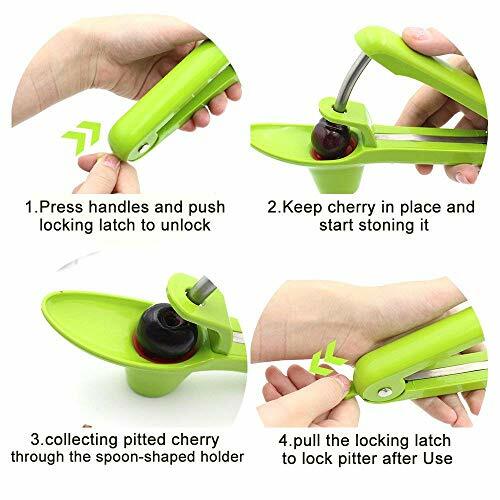 Pitter is easy to clean, you can detach the silicone cup to the dishwasher for an easy cleaning. 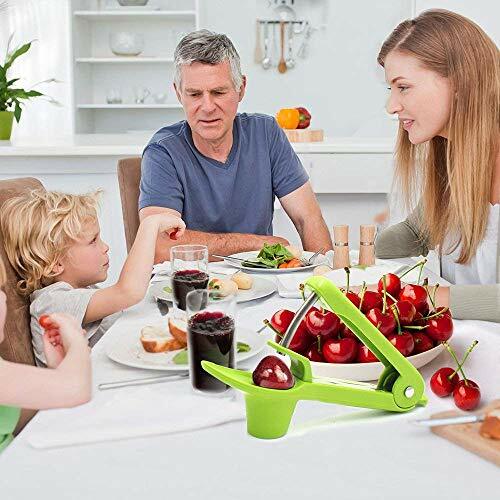 Made of food-grade silicone to guarantee safety and extra durability. 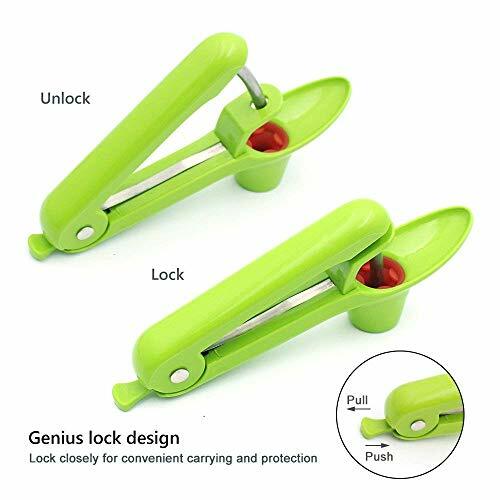 Lock closed for compact and convenient storage. 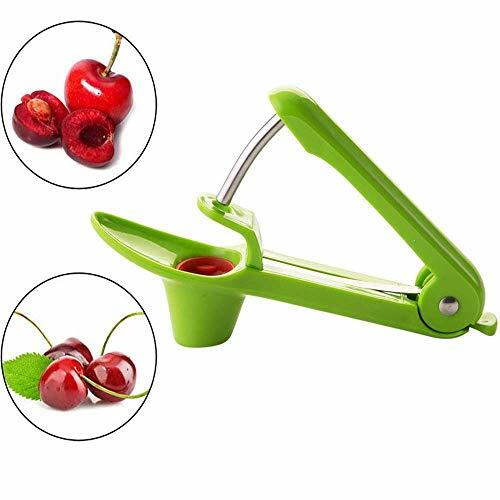 Simply press the handles and push the locking latch to unlock the cherry pitter.